Time to resurrect the King/Bourke Quest, my search for good lunch food walking distance from my office building on the corner of King and Bourke streets. 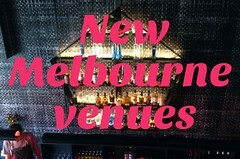 Remo Nicolini (one of the original Italian Stallions from Carlton Espresso, he who also owns Little Bourke Street pizzeria +39) finally opened the doors of his new coffee and pizza bar on Thursday. It's at the Rialto site on the level below the New York Tavern, and it's called Espressino. I'd been pestering Remo by popping down a few times to see if it was open yet, so I had lunch there on opening day. 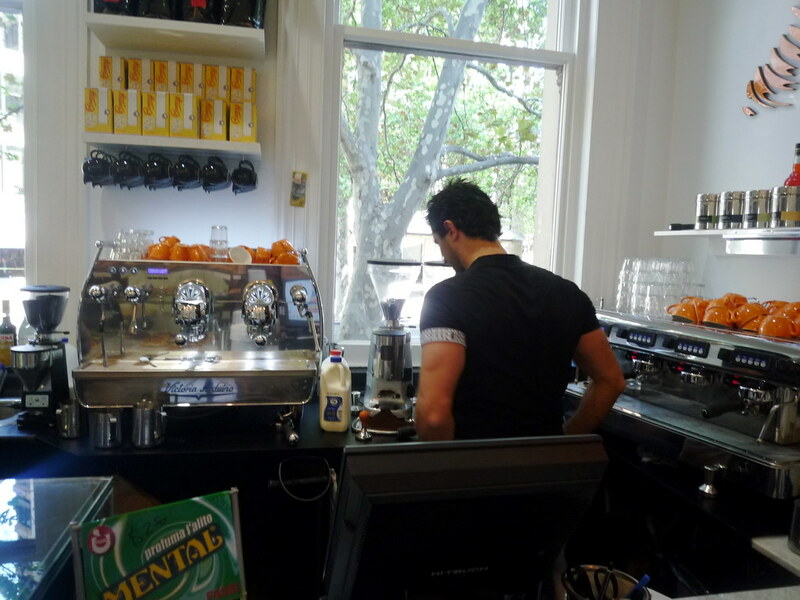 This Espressino is not to be confused with the cafe at the other end of town formerly known as Espressino and operated by Remo, but now run by others and known as Babbo. 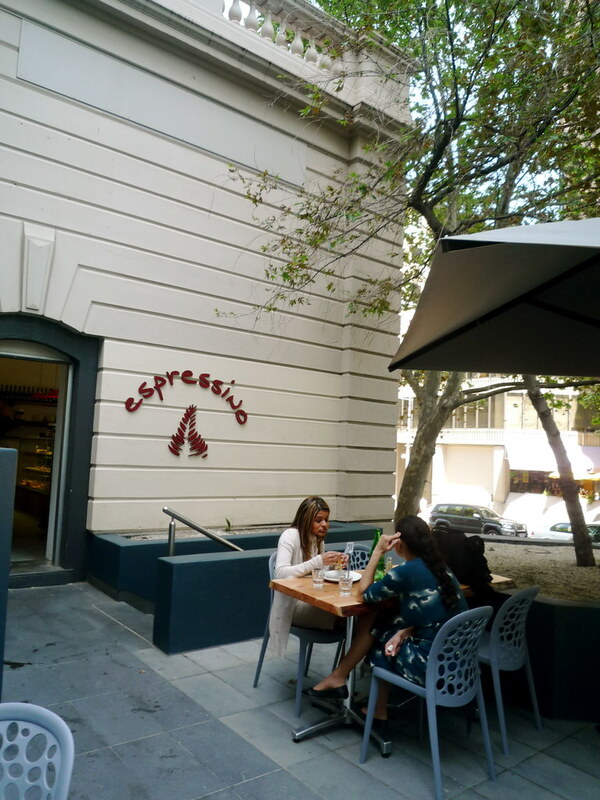 Indoor and outdoor seating at Espressino. 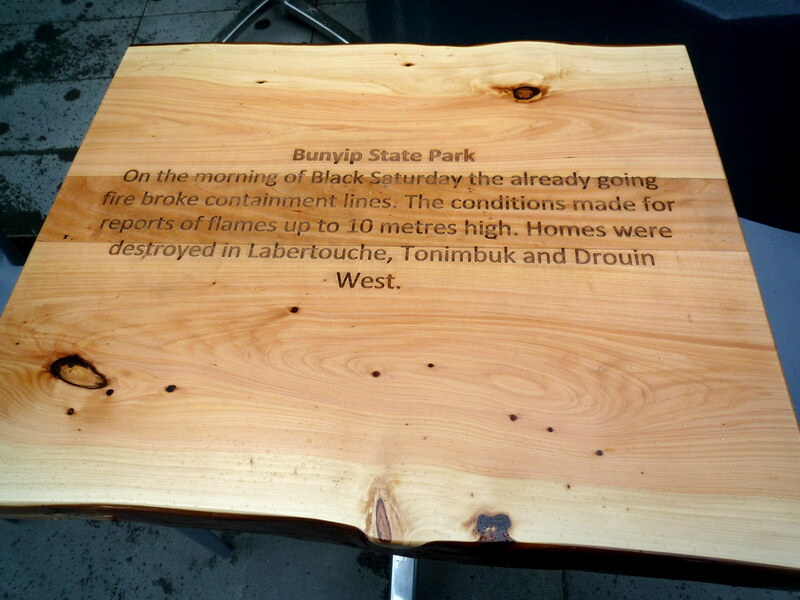 The outdoor tables are made from trees that were damaged in the Black Saturday, and carry sombre inscriptions describing the bushfires. 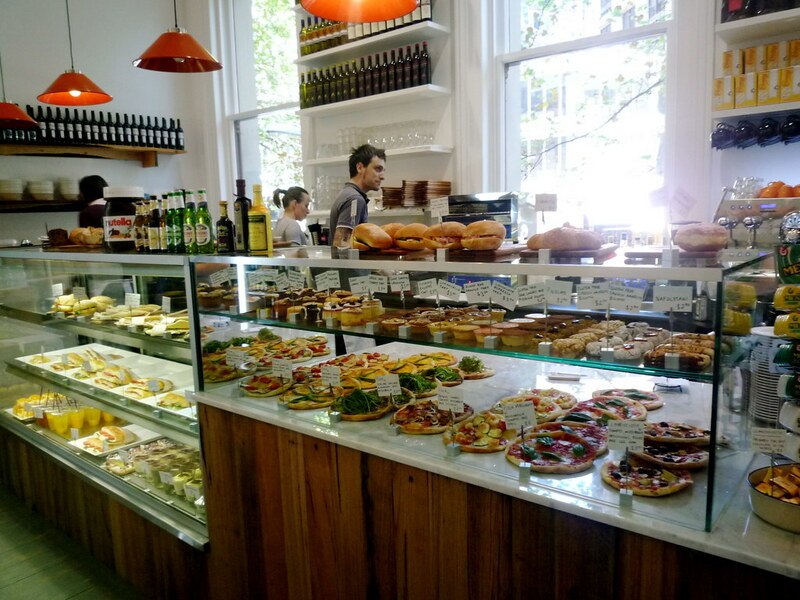 Inside, the panini, piadine, pizzette and dolci are all displayed in big cabinets. Remo is brewing up is his +39 artisan coffee, as well as single origin (Cuban): there are two coffee machines, one solely dedicated to making espressi. The high ceilings of the interior are adorned with spotlit bicycles. Housemate DJ and our friend Miss B both ventured to my end of the city to join me for lunch. 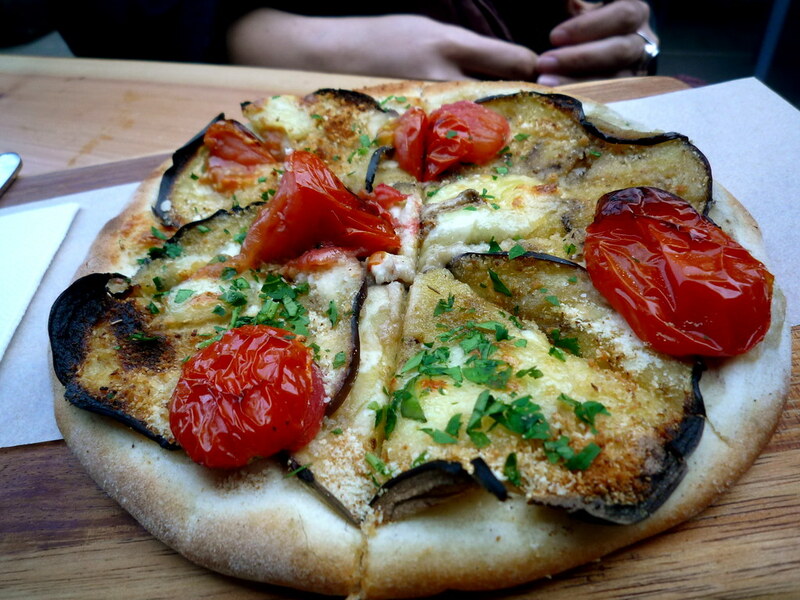 Miss B had the pizzetta with eggplant and cherry tomatoes. I had the one with tartufata and rocket. Simple, tasty, good. 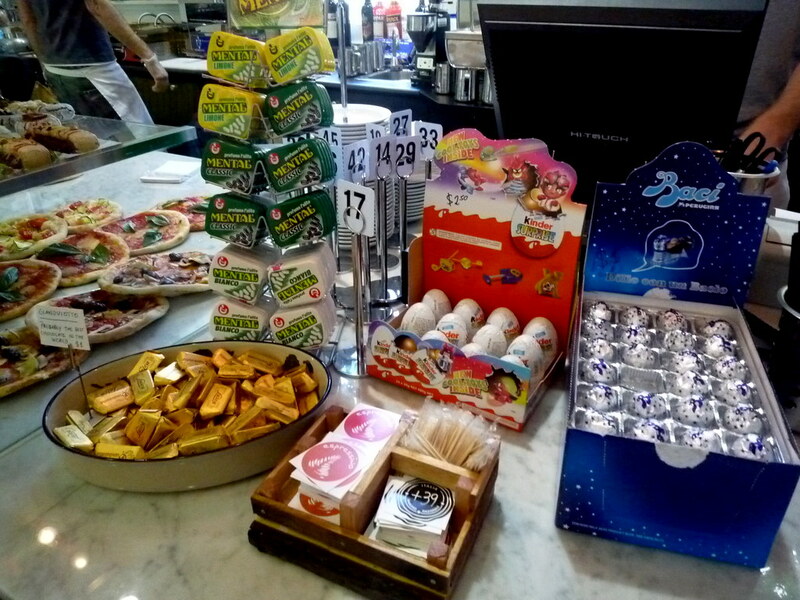 They were about $8 each, and were served on little wooden boards that had the Espressino logo stamped in the corner. Wish the knives had been a bit sharper though. DJ announced it would be a multiple course meal. 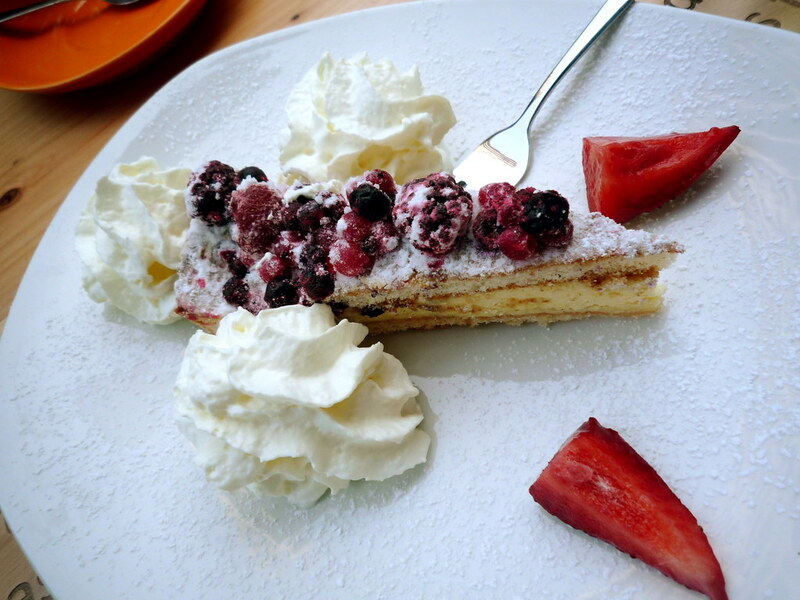 He chased up his roasted pumpkin piadina with a slice of berry-topped cake we assumed would be cheesecakey but turned out to be rather more spongy. He liked it though, and we liked the look of the strawberry pieces and extravagant swirls of whipped cream - they made the cake look like a red-legged cheerleader holding pom-poms. 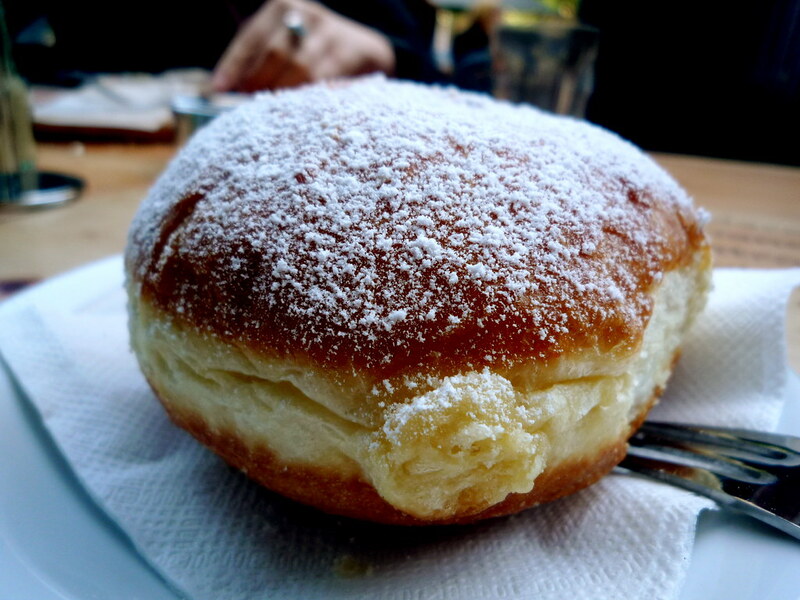 Miss B and I ordered coffees and decided to share a bombolone filled with Italian custard. DJ had never tasted Italian custard before so we gave him a bite - he was suitably impressed and overwhelmed by the sugar rush. I had my own caffeine rush for the next hour - yes my tolerance is low but those coffees were strong. 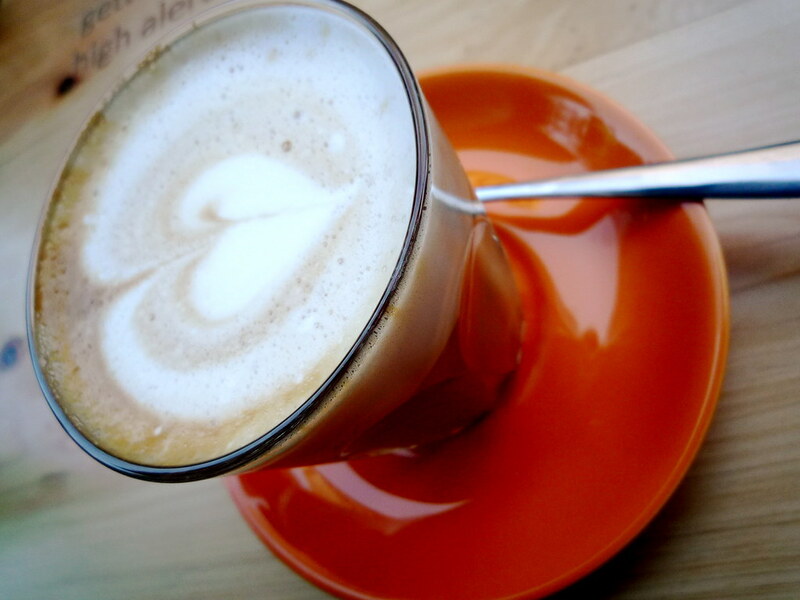 Very happy to have Espressino only a stone's throw from the office! I had always wondered what became of the New York Tavern. I'll definitely be checking this place out the very near future. 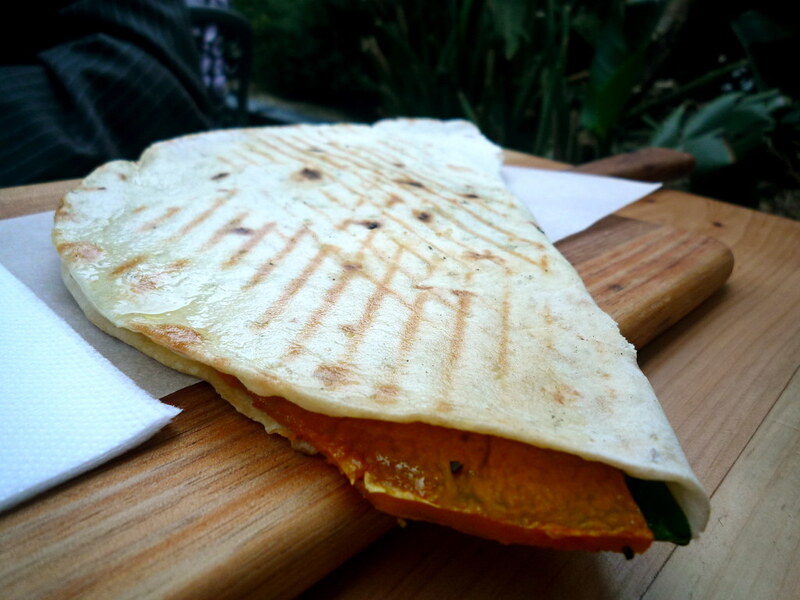 Love it when food is served on wooden boards. Adds a nice touch to the meal. This place looks good and have been wandering what was taking over the tavern. The food looks good here and it looks like there is a lot of variety! I realised I work in the same area as you so will be looking out for the places you try on your King/Bourke quest! There doesn't seem to be as much good lunch places around this side of town! 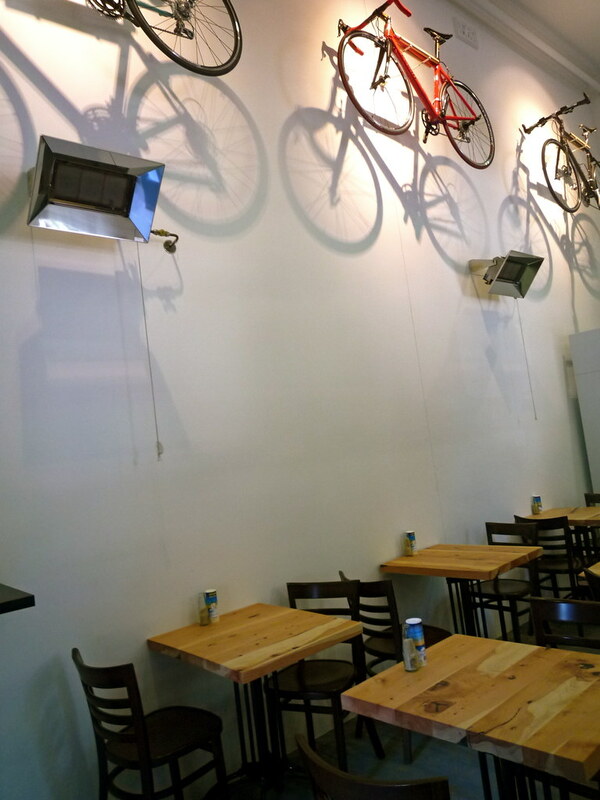 What is it with cafes now and hanging bicycles on their wall? Linked you on my Seven Seeds post by the way, it's got a new menu! There seems to be a phase of "sequel" venues popping up of late! 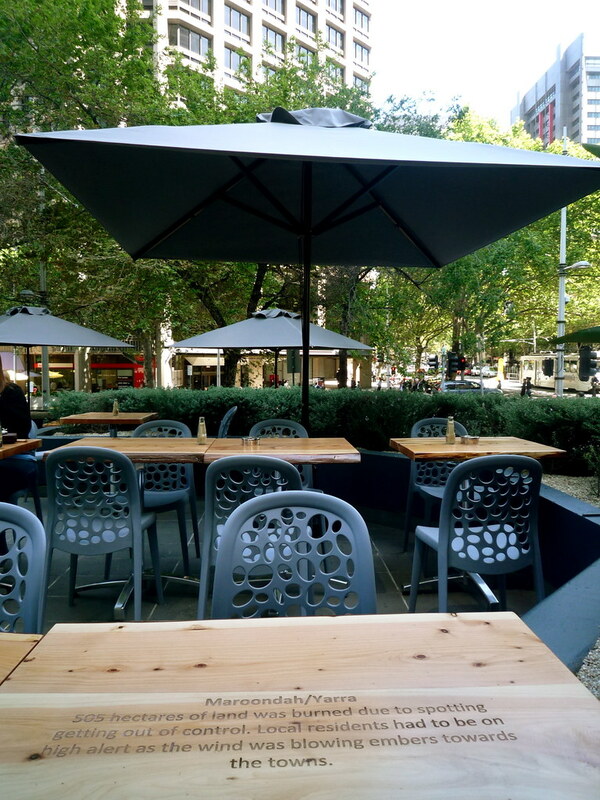 Solarino the Sicilian cafe/restaurant in Howey place is opening Sotto e Sopra tomorrow. 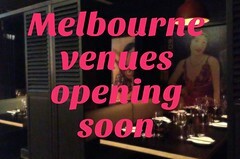 Movida soon as well of course. 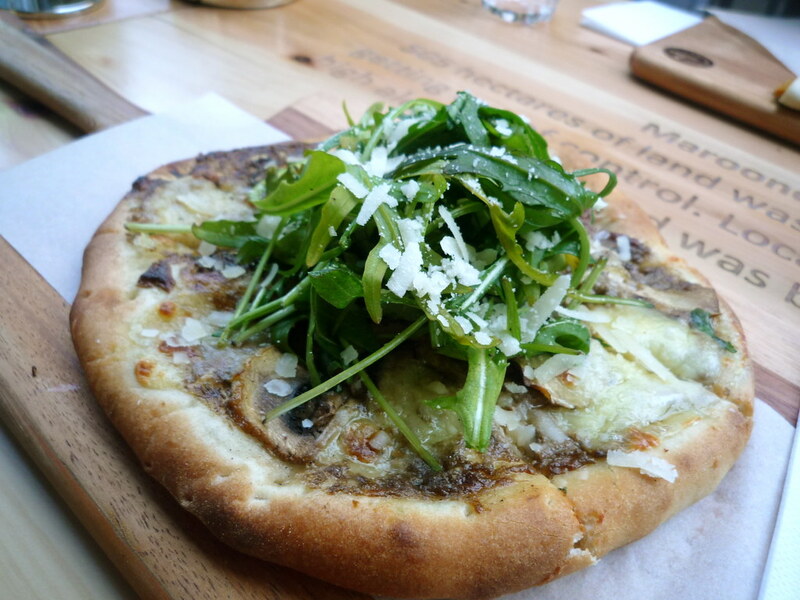 New place just opened (not a sequel as far as I know) called Barbagallo trattoria e pizzeria. 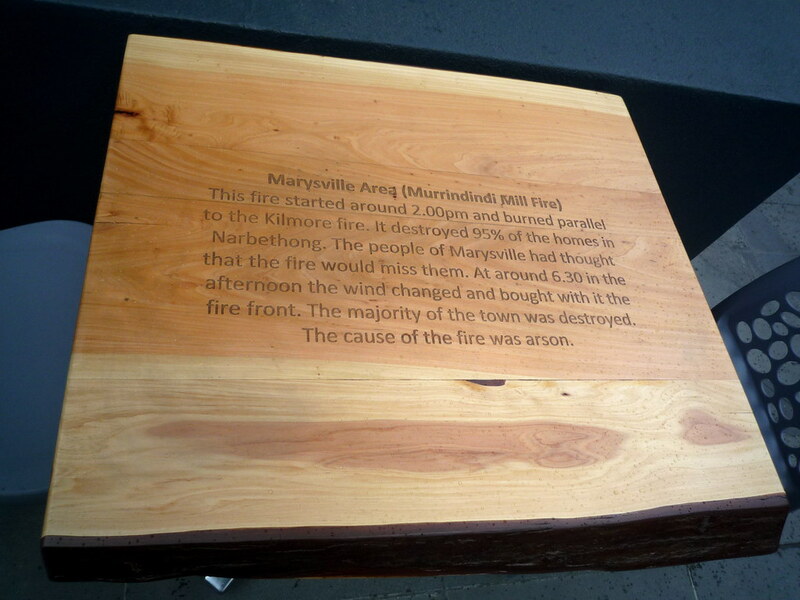 Located on Lonsdale near cnr Exhibition between the 7/11 and Seamstress. Well after reading this blog entry several times, my partner and a colleague of mine decided to give this a try for lunch. What can I say? We were all very impressed. I shared half a pizza (quite small), half a foccacia, coffee and dessert which were all delicious! The ingredients are exotic and fresh. Everything was perfect. Great value and we'll definitely make a visit again in the near future!! Just to let you know that New York Tavern is still here, Espression took over the old Schwobs area. The food and staff are fantasic at Espressino!! Sorry, Anonymous, I made a mistake in my original post saying that Espressino had replaced the New York Tavern. To clarify: the New York Tavern is on the level above Espressino, and very much still alive and kicking! Sincere apologies for getting my facts wrong, I have amended the post accordingly.